I walked into the grocery yesterday around 3:30 PM. I checked my cell-phone to see what was up with my Facebook feed. Why did I do that? Why did I nearly start crying in the aisle while looking for some cheese? 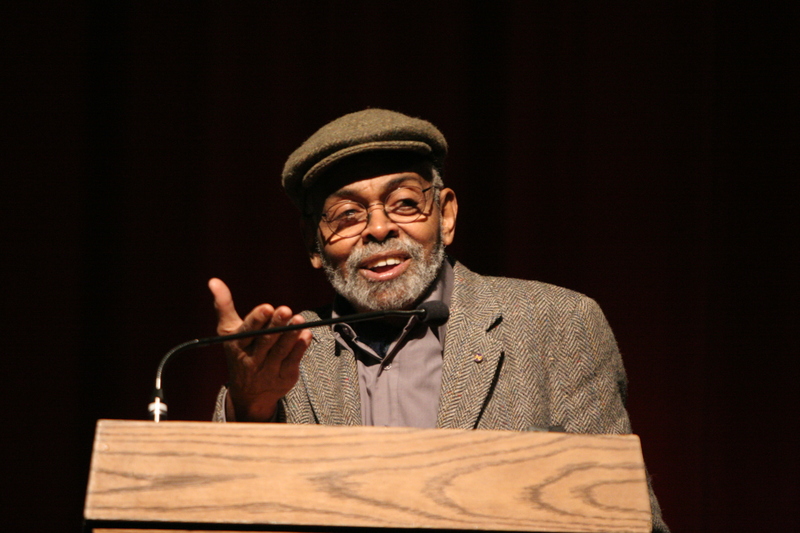 Why did I rush to get everything not getting enough of anything — thinking in real-time about Amiri Baraka, Formerly LeRoi Jones. I read via my feed that the prolific writer, poet, activist, thought-leader, and Black Arts Movement Founder had died. He was 79 years old. It had been reported that he was sick and hospitalized back in December of 2013. I never thought he would leave us, right now. Throughout my evening, I listened to his work, interviews, read some of his former essays and ordered two more of his books to be archived in my library. eh. eh. eh. eh. eh. eh eh. eh. eh eh. boom. batta. boom. boom. eh. eh. eh. eh. eh. eh. eh. eh. eh. eh. « H A P P Y N E W Y E A R !